WORKING ON SOCIAL DEVELOPMENT PROJECTS? Contact us to know more about accessing funds directed towards CSR projects from International Companies operating in your country. Who can use Ruvikas Blockchain? Ruvikas Blockchain has the flexibility and scalability to manage social development projects with transparency, accountability and traceability of funds dedicated to CSR. Join a network of curated Contractor firms and registered NGOs in the platform and let Ruvikas help you receive and certify CSR funding both locally and globally. Ruvikas is focused on the growth of rural communities. We validate impact by crowdsourcing feedback directly from people living in the area where CSR funding is needed. We are exploring pilot projects in different regions of the world including South America, Europe, Africa, Middle East and South Asia. So many people discuss blockchain, but companies keep wondering what this technology is all about and how to use it in their organizations. Ruvikas is one great use case for them. Ruvikas platform helps you manage your CSR Funds with smart contracts on a propietary blockchain, allowing you full control of your investments with full transparency, accountability and traceability. 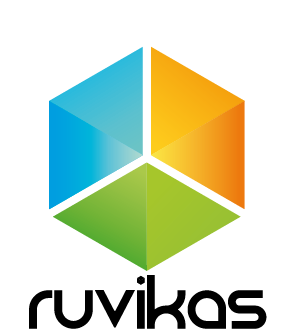 Ruvikas solution creates and manage your CSR fund and allows full control of your investment through ERC20 based smart contracts.